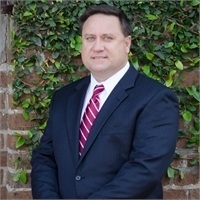 Larry Faulkner | Consolidated Planning, Inc. I am a Charleston native, raised on the Isle of Palms and have lived East of the Cooper all of my adult life. I've been providing financial advice to individuals and businesses since 1983, and been a part of the Consolidated Planning family since 1995. Without question, my best days are spent with my wife, Elizabeth Graham Faulkner, RN, and my three children. I enjoy many of the great things Charleston has to offer, especially being near or on the water. I am active in the ministries of the East Cooper Baptist Church where I formerly served as the Worship Leader. Additionally, as a former Executive Director for Crown Ministries in Charleston, I am particularly committed to introducing and applying biblical principles of stewardship in how I advise my clients. Registered Representative of Park Avenue Securities, LLC (PAS) Financial Representative of Guardian.